Those "unused DT entry" messages mean that either your app crashes or it generates lots of error messages. 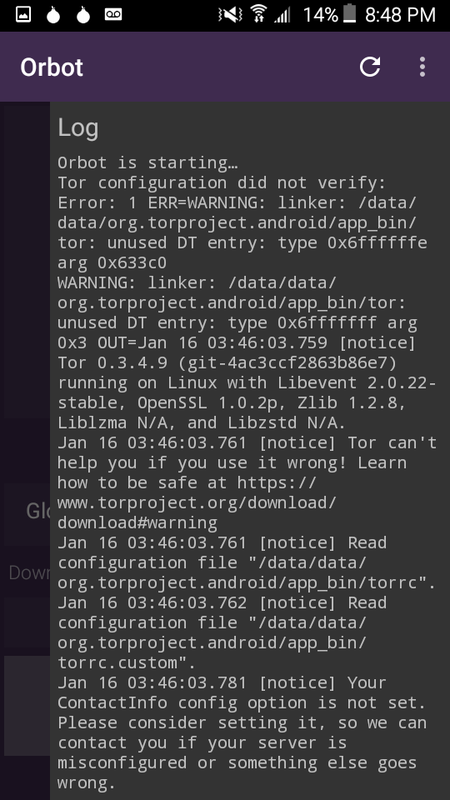 Probably Tor was cross-compiled with wrong or deprecated compilation flags. In my opinion the best is to enter a bug report. This answer on Stackoverflow has more details about the message. Need help: can anyone provide tor gateway?